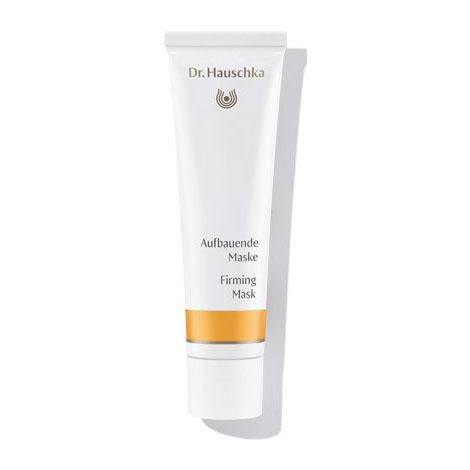 Firming Mask protects and fortifies, minimising the appearance of fine lines and wrinkles while nurturing and hydrating for smooth, supple, enlivened skin. Formulation: Rose, marsh mallow and pansy support the skin’s natural processes of renewal. Rose water, rose petal extract and rose wax, as well as rose essential oil, mango butter and avocado and almond oils support elasticity as they pamper and enrich the skin. The skin’s vitality is supported and its moisturising properties are activated – for noticeably smoother and revived feeling skin. Apply a generous amount of Firming Mask to the face (include eye area), neck and, if necessary, décolleté once or twice a week. Remove after 20 minutes with a warm, damp cloth. For optimum skin care results, we recommend deep cleansing with Clarifying Steam Bath and Clarifying Clay Mask prior to use. My skin looked plump and fresh after use. like the firming mask which goes on smoothly and does not dry to something akin to concrete. It is easy to remove and leaves my skin feeling smooth and smelling lovely. Doubles as a heavy moisturiser which is a bonus. Small tube only down side. This is an effective skin softening product. I do not expect any miracles. For intensive hydration, apply a small amount of Firming Mask prior to your day cream.